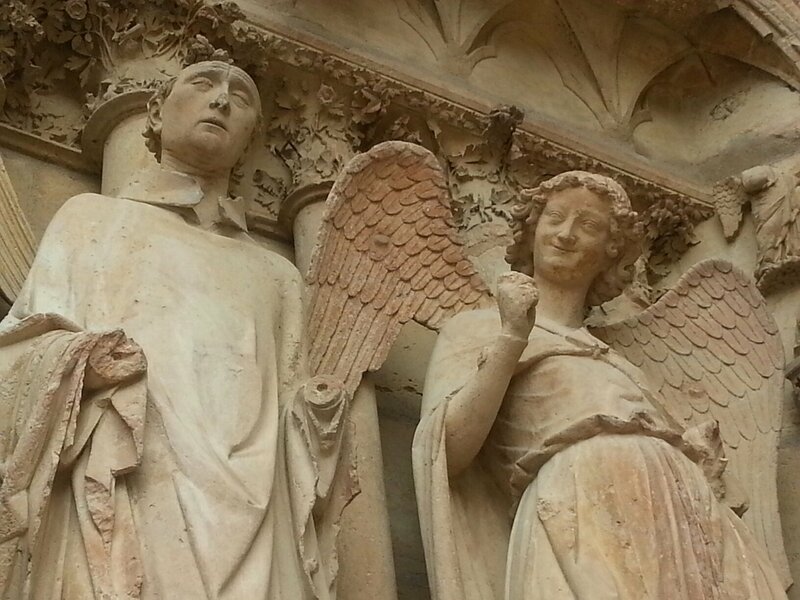 The photo of the smiling angel is lovely and quite funny.. don’t you think the statue, next to the angel, looks like he is rolling his eyes at the joyful exuberance of the angel? 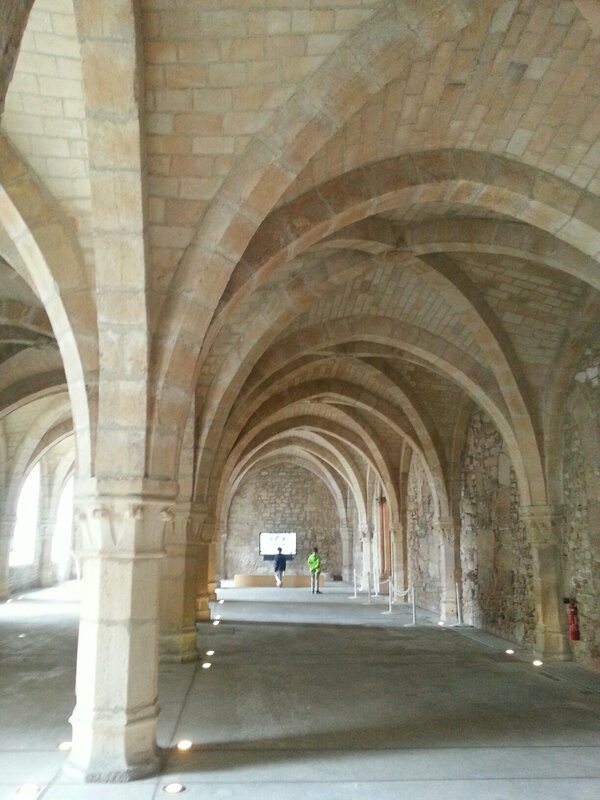 Enjoyed reading your post on Reims. Ooh pretty! I am such a francophile and despite significant training in French (to A level equivalent), still get the pronunciation wrong. I want to go there for the champagne. Maybe without the kids! A grown up weekend would be lovely! Thanks for the pronunciation clarification…I have been saying it wrong for years. Reims is a great city – obviously the champagne is a biggie but the cathedral is stunning althoughI didn’t realise quite how important its place in history was. I think we may have to return soon!! You had me at champagne houses 😉 Looks like a fabulous visit! 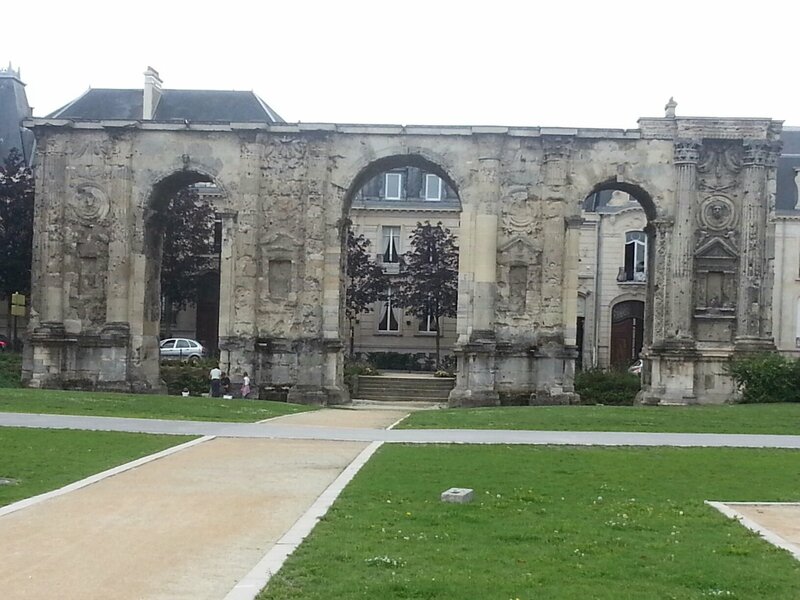 I had genuinely no idea that Reims (sorry, Rrrrrance) was such a large Roman city. I live very close to the city of Trier, just across the border in Germany. Tourist marketing material about Trier often boasts that it was the “biggest Roman city north of the Alps”.